non-hazardous because it’s the primary constituent of chemtrail aerosols? Why doesn’t the EPA monitor the harmful alumina-containing geoengineering aerosols? Timing of the December 2014 Ruling Reflects EPA’s Complicity with Unlawful and Harmful Chemical Geoengineering Programs in Advance of Paris Climate Conference this November/December. EPA directives require coal-fired power plants to remove coal fly ash, but then permits geoengineers to spray massive volumes into the troposphere and stratosphere via chemical geoengineering operations — 24/7. By all appearances the U.S. Environmental Protection Agency (EPA) has been closely collaborating with the nationwide, covert chemical geoengineering programs for decades. These clandestine military-run chemtrail operations are responsible for the massive and incessant spraying of highly toxic chemical aerosols into the troposphere and stratosphere. The EPA is the regulatory agency responsible for enforcing the Clean Air Act (enacted in December 17, 1963) since its was formed by the Nixon Administration in 1970. Therefore, it can be stated with certainty that for 45 years the EPA has been a critical co-conspirator with the U.S. Military in the implementation of these illicit and highly injurious geoengineering programs. 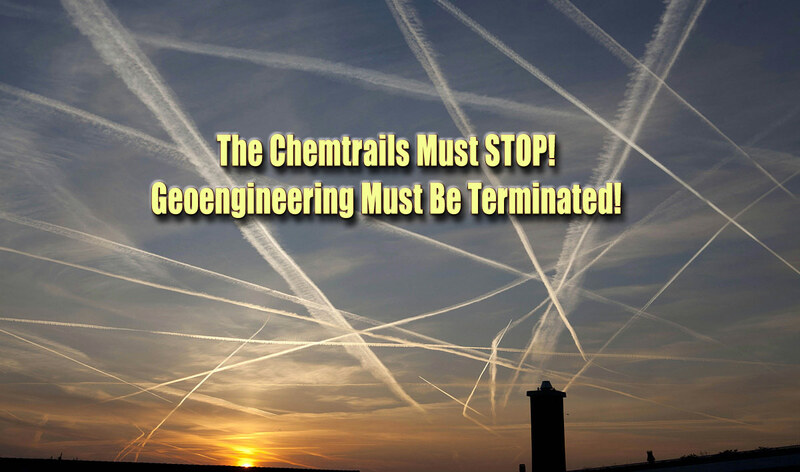 In fact, chemical geoengineering has been routinely conducted throughout the skies of America since the 1970s. The only question that remains is how long those programs have utilized toxic coal fly ash in their formulations. It has already been determined that alumina-containing coal fly ash has been used as the primary chemtrail aerosol component since the beginning of this 3rd millennium. A substantial amount of scientific data has been accumulated which substantiates this fact. The extremely high content of chemically-mobile aluminum in the atmosphere, in the waters, and on the land has produced effects which have not gone unnoticed or unrecorded since 2000. Aluminum oxide (aka alumina) is one of the primary constituents of coal fly ash. It reacts with water to become chemically-mobile aluminum. When aluminum is widely generated in this state, it becomes significantly bio-available and, therefore, detrimental to human life as well as to the whole spectrum of the Earth’s biota. And, especially why the EPA took literally decades to rule on whether coal fly ash ought to be considered a hazardous waste, which it certainly is. The EPA knew that it had plausible deniability over the first many years that chemical engineering was conducted using coal fly ash because they could point to the coal-burning plants around the world. This explanation worked just fine. However, ever since the agency issued its directive to all U.S. based coal-fired power plants mandating the removal of coal fly ash, everything changed. What especially changed has been the obvious intensification of chemtrail operations being executed in all 50 states without interruption. The sheer volume of coal fly ash and immense amount of alumina now being dumped into the atmosphere is too great to cover up. While the geoengineers and their EPA co-conspirators are extremely successful at covering up the sun, they can no longer cover their chemtrailed tracks which constantly streak across the skies. When a prominent scientist such as J. Marvin Herndon, PhD conducts the necessary scientific research which proves unequivocally that the many toxic contaminants from chemical geoengineering are coming from the primary ingredient that is coal fly ash, the EPA has a HUGE problem. Not only has aluminum been showing up in extraordinarily high concentrations, so too have mercury, lead, arsenic, cadmium and strontium. Coal fly ash also contains radioactive isotopes of uranium and thorium which means these are now being sprayed into the ambient air that Americans breathe every day. The preceding exposé includes the landmark, peer-reviewed scientific research paper that Dr. Herndon published at the International Journal of Environmental Research and Public Health. This crucial paper demonstrates that the coal fly ash is being released into the troposphere in massive amounts. The test study results, easily duplicated data and authoritative interpretation all pose an exceedingly inconvenient truth for the EPA. Simply put, the EPA has knowingly permitted the literal saturation of American skies with a highly toxic mix of deleterious substances. The list of known harmful chemicals do not include the other deleterious components which have also been scientifically determined by other investigators to exist in coal fly ash, as well as in various chemtrail formulas. This is why it took the EPA decades to rule on the classification of coal fly ash. Not only were there other industrial users of coal fly ash that did not want to see it classified as a hazardous waste (that’s another huge breaking story), the geoengineers would simply not allow for such a damaging classification. Damaging, that is, to their unfolding worldwide agenda to geoengineer the planet. Were coal fly ash to be properly classified as the hazardous waste product that it is, the many current initiatives to legalize chemical geoengineering would have to be immediately terminated. Or else We, the People would become aware of their plot to pollute the skies of the whole world for years to come. The upcoming climate conference in Paris would also be thrown into a tizzy because it is their intention to start passing transnational legislation and signing international treaties legitimizing geoengineering around the globe. The following screenshot from Wikipedia is quite telling in regard to the deeply hidden back story. Not only was the EPA’s final dubious ruling recently finalized, other types of fly ash are curiously classified a hazardous waste. All types of power plants and incinerators produce their own kind of fly ash. However, it is only coal fly ash that has been mysteriously exempted from being classified as a hazardous waste. The other very interesting aspect of the EPA’s “long regulatory process” is why the ruling was rendered as recently as December of 2014. It is not coincidental that this final decision was issued during the Lima Climate Change Conference that was held in December, 2014. The political sensibilities have been shifting very quickly with each passing year, especially because of the dramatic intensification of global climate change. Those who are ushering along Agenda 21 had their finger on the pulse in Lima and saw that chemical geoengineering is soon to be an ‘accepted reality’. The historic California drought and epic Texas deluge are only two examples of how the climate is being fastidiously geoengineered in 2015 in order to advance that agenda much further come Paris. The following two essays provide remarkable evidence about how both calamities in California and Texas are being used to foist the new Global Carbon Control Matrix on the USA. What follows is a screenshot from the ProAsh website found at this link. Needless to say it portrays a quite scary picture that the EPA itself has had a hand in painting in the nation’s skies over decades. Bear in mind that this MSDS (material safety data sheet required by OSHA) does not include many of the other dangerous trace elements which are also found in coal fly ash. The point being that when the U.S. Federal Government is relentlessly dumping inconceivable amounts of coal fly into the atmosphere, those dangerous trace elements start to accumulate, and bio-accumulate, to precarious levels. Is there any safe level of mercury, lead, arsenic or strontium, for example? Clearly, the EPA has painted itself into a corner. They have purposefully perpetrated yet another serious crime against the American people. Through their deliberately fraudulent classification process not only have they further enriched the industrial users of coal fly ash, they have provided cover for the geoengineers to continue to poison the skies across the planet. Because the atmosphere is such an ever-changing entity with Jet streams and El Ninos working their magic, which can transport smog from China to the American heartland, or convey Fukushima airborne radiation to the West Coast, or precipitate acid rain from the USA to Canada and vice versa, the EPA’s crime against humanity has been an international one. The EPA has now been implicated in the CRIME OF THE MILLENNIUM. In light of the BP Gulf oil spill, who would be surprised? Especially in view of so much of the highly toxic dispersant Corexit having been dumped into the Gulf, isn’t this what the American people have come to expect? Nevertheless, the EPA has given us gift. Their outright treachery and the subsequent injury — profound harm to every living thing — being caused across the nation is far too much for the people to further ignore. Yes, the last days of the EPA are surely upon us. The real gift however is this: If there is one piece of information that can short-circuit the Agenda 21-driven climate conference in Paris, it is the now obvious geoengineering component of global climate change. It has been outed in living color and in broad daylight for every resident of the planet to see … and feel. Likewise, if there is one single revelation which can scuttle the NWO plans to impose a One World Government via an insidiously emerging Global Carbon Control Matrix, the systematic, wide-area, indiscriminate dumping of toxic coal fly ash into the atmosphere is the silver bullet.